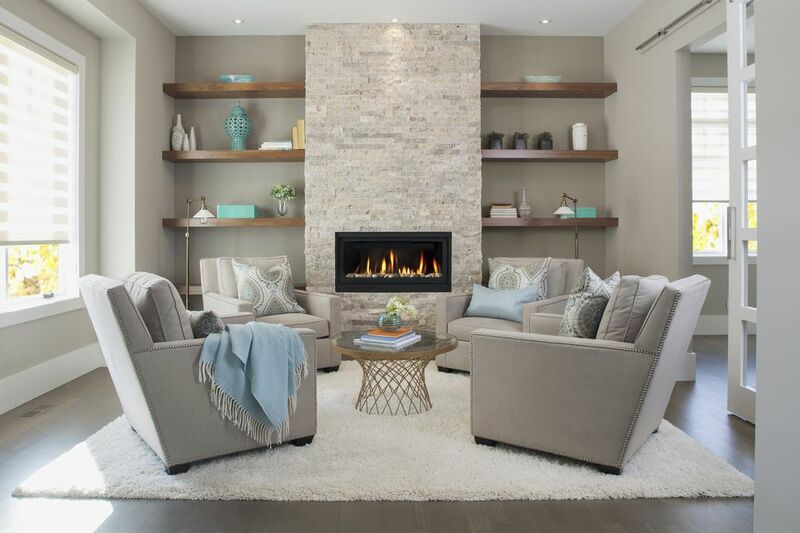 A room will feel much more inviting and offer a more comfortable place to rest if you arrange the furniture or accessories around a focal point. Sometimes a focal point is an architectural feature. At other times, a focal point can be a special picture, mirror, or dramatic piece of furniture. Learn how to find a focal point in your room and how to make the most of it. Look around your room to determine the 'biggest' feature. It may be a fireplace, a picture window, or a built-in bookcase. This will generally be your focal point. If your room has no distinguishing architectural features, identify the largest furniture pieces. These could become your focal point. A focal point should be something interesting to look at, something colorful or texturally and visually appealing. You can create a focal point for the room, by focusing on artwork, floral arrangements, paint color, or shelving. The focal point should be the 'first thing' you see when entering a room. If possible, build your furniture arrangement around the focal point. If an outdoor view is the focal point, orient the furniture inside and outside to take advantage of window areas. You can create a focal point wall by painting one wall a different color from the rest and accessorizing with a wall arrangement, artwork, or display shelves. Use lighting to enhance your focal point. For example, use a picture light, track light, or wall washer fixture on a painting or wall display. If you've identified a mantle or shelf as the focal point, use plants and accessories to decorate them. Use contrasting color to make the focal point stand out. For example, use a light wall color behind a dark wood armoire. Focus on your room's best qualities by choosing a focal point you enjoy. Decorate and 'frame' a focal point with plants, curtains, and art. Remember to try choosing the 'first thing' you see, or the biggest item for a focal point.